Do you celebrate St. Patricks’s Day where you live? 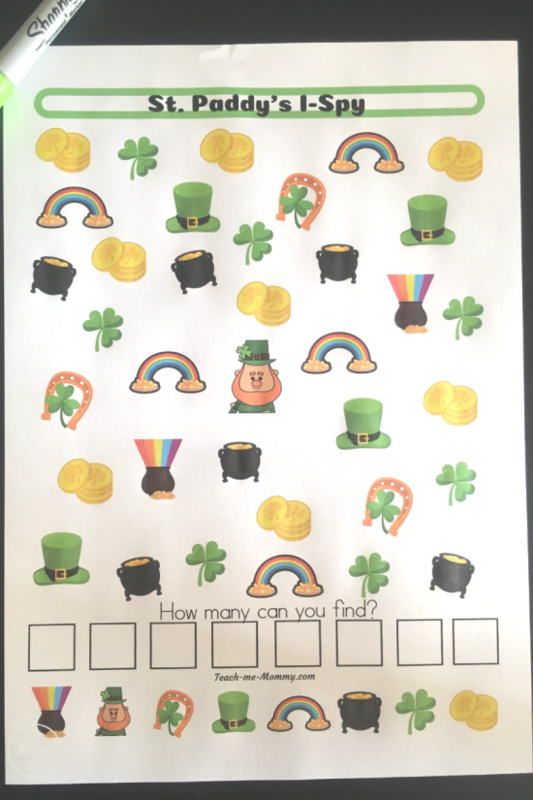 Here is a fun St. Paddy’s I-Spy activity for you! How many can you find? 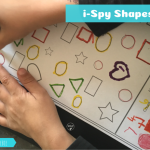 That is the question with this I-spy printable. 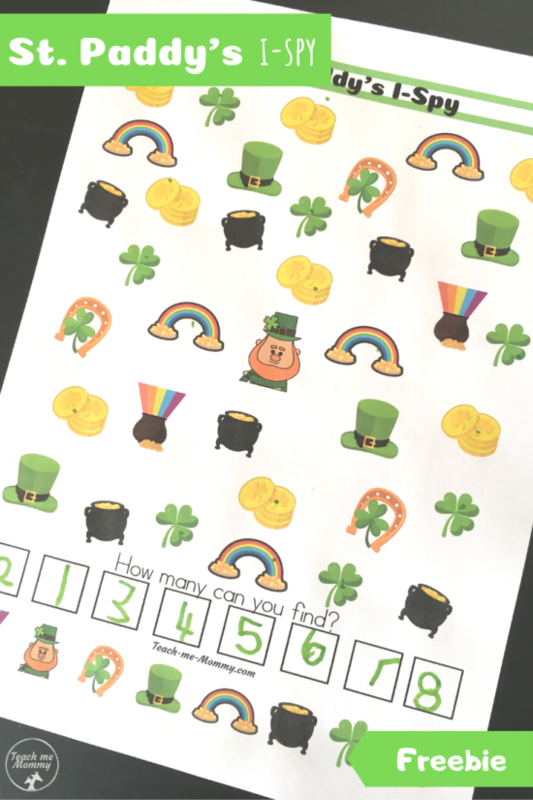 It is fun for preschool and kindergarten aged children to work on counting, number writing and visual perception too! 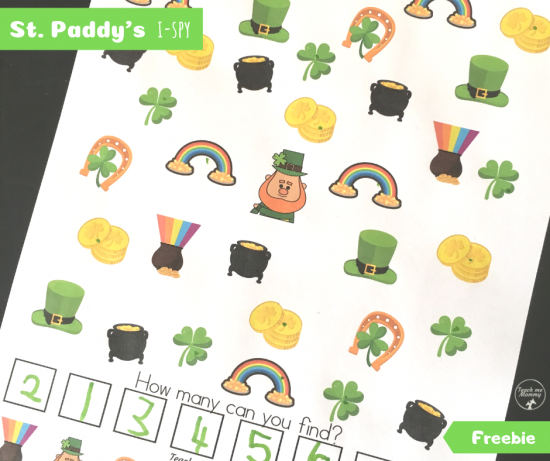 Print this free sheet(download instructions below) and have fun! 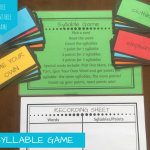 If you want it to be re-usable, laminate and use a dry-erase marker. 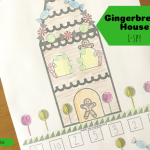 Provide a pencil or marker and let the spying-and counting, begin! You can even add a little magnifying glass to make it exciting. Another fun idea is to cut the small pictures out and add it to a sensory bin(perhaps a gold coin and white cotton wool as clouds) so that the kids can really dig in to find the pictures. Cut the strip at the bottom so it can still be filled in! 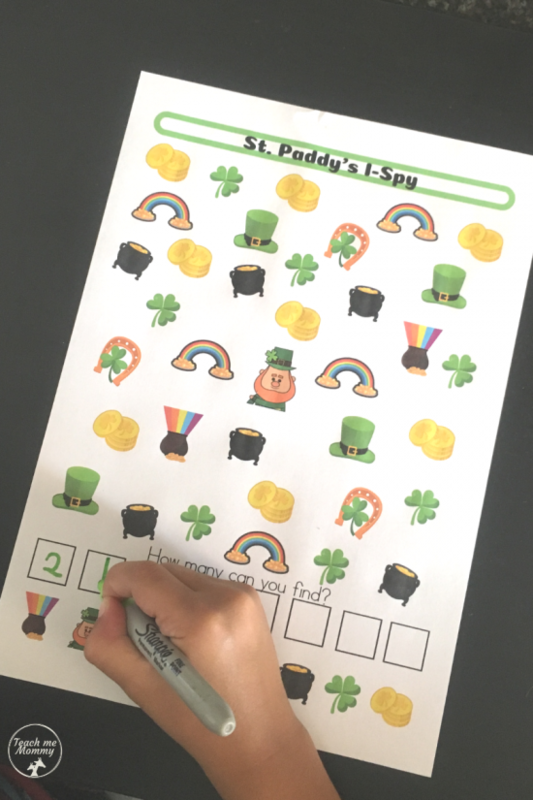 Have fun spying and counting for St. Paddy’s Day!